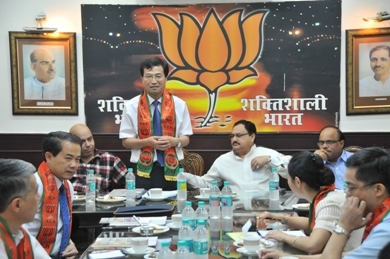 The 11-member delegation from China Centre for Contemporary World Studies (CCCWS) led by Liu Mingbo, senior research fellow of CCCWS and Deputy Secretary-General of Central Discipline Inspection Commission of the Communist Party of China(CPC) paid a visit to India from 28th to 31st July, 2010. The delegation met with Vinay Shastrabudhe, political consultant to President of the Bharatiya Janata Party (BJP) and other leaders of the BJP. 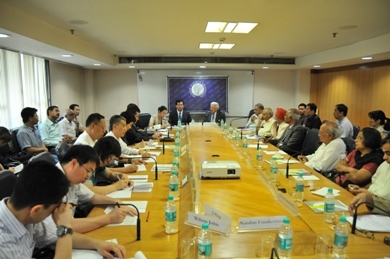 The delegation also held discussions with experts and scholars from Delhi Study Group and Observer Research Foundation, and exchanged views in depth on a wide variety of issues including cracking down on corruption, mechanisms to prevent and punish corruption, party-building as well as the China-India relations. 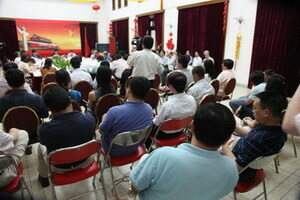 On July 30, the delegation held a press conference in the Chinese Embassy in India, briefed the Indian media about China's struggle against corruption and some effective measures taken by the CPC and pointed out that the CPC is willing to strengthen anti-corruption cooperation with the international community. 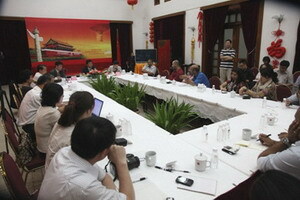 Mr. Liu Mingbo also answered questions raised by Indian journalists. More than a dozen media organizations including the Press Trust of India, Indo-Asia News Service, Asian News International, the Pioneer, the Asian Age, Daily Sakal, Tribune, Deccan Chronicle, Deccan Herald and resident Chinese media attended the press conference.